adults as a dessert or breakfast recipe. grated apple and mix well. Cook again for 1-2 minutes. from the flame and keep aside to cool. blend this mixture in a mixer to a smooth puree for toddler or babies. rich recipes, easy kids recipes. 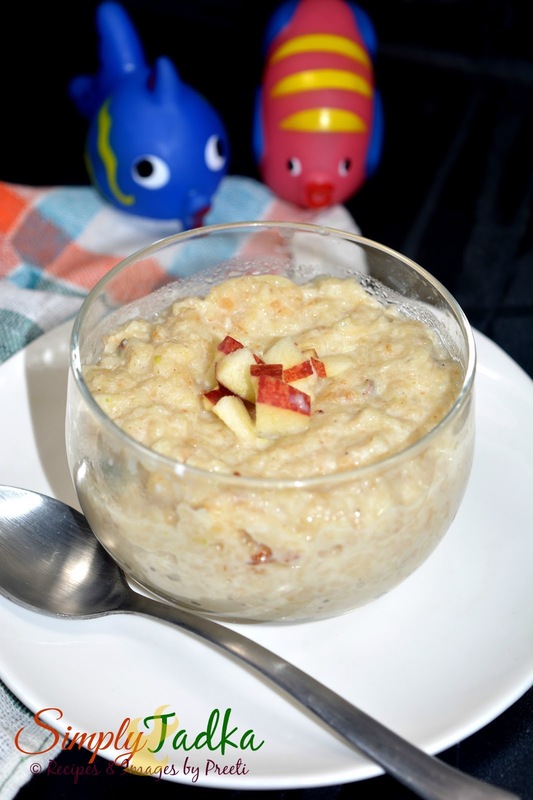 Apple and oats is a excellent combination , I am sure this porridge must have tasted awesome and your little one must have enjoyed it . Healthy and yummy combination of oats and apples. Looks so creamy and tasty. This sounds more like a dessert option than breakfast. Looks so yum and I would be really happy if I got that bowl to try. I used to give a similar porridge to my kiddo when she was younger. Hope your little is enjoying this. Looks yum! Looks yummy. Apple and oats a delicious combination. Simply easy and delicious breakfast. Love it!! sure kids will love this!! Apple and oats is a delightful tasty combination. A bit of butter in the porridge must have tasted so good. Love idea of grating the apples and including. Delicious breakfast. Wow this is so healthy and good to see such dishes Preeti, I am sure your son loved it! Such a healthy dish Preeti. Must have tasted great! Thats a super nutritious porridge, wonderful to kick start a day with this ultimate porridge. 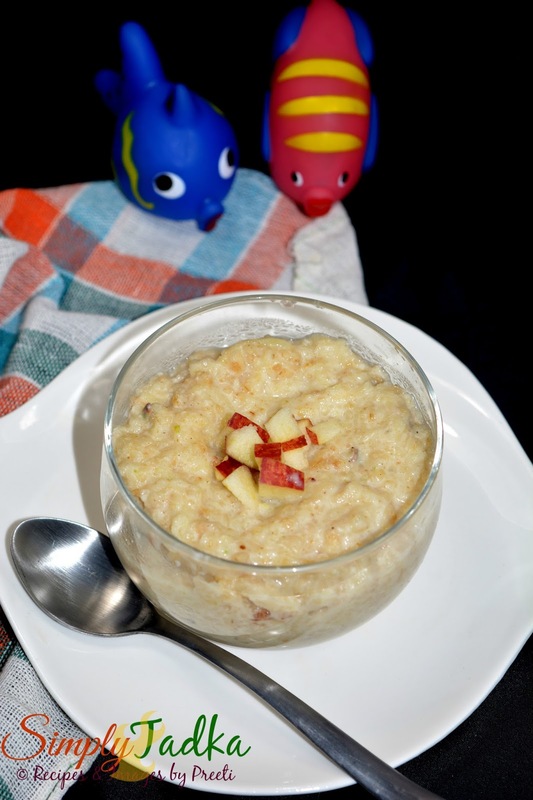 Creamy oatmeal with apples,healthy option for breakfast.